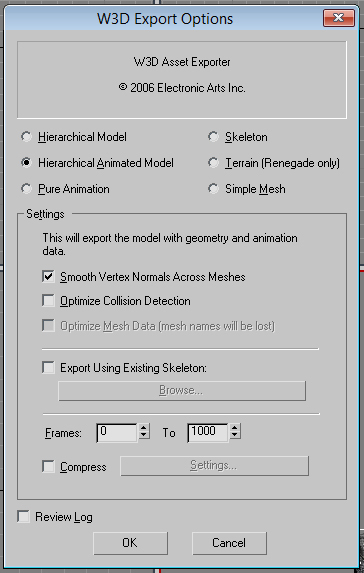 All other times, like when I did the Easterling Turbine and the Easterling Barracks for my mod, I get the w3d export menu depicted in the PNG file I attached instead. 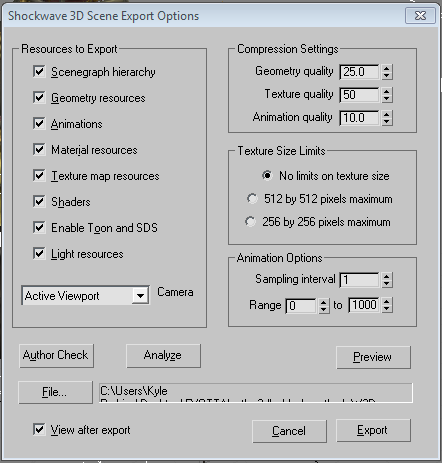 UPDATE: I tried to delete this topic after figuring out I was having this problem because I need to export as 'w3d asset' but was exporting as 'w3d scene', but apparently I cannot delete the topics I start so I will just make this little edit here instead. Thanks for reading! Edited by Emperor of the East, 10 April 2018 - 09:30 PM.